Could stem cell transplant emerge as a reliable treatment for both relapsing and progressive forms of multiple sclerosis (MS)? Experts believe so, and they hope to prove it in clinical trials. Andrew Goodman, MD, professor of neurology and director of the Multiple Sclerosis Center at the University of Rochester Medical Center in New York, led a discussion on the topic of stem cell transplant in MS at Americas Committee for Treatment and Research in Multiple Sclerosis (ACTRIMS) Forum 2016. He began his presentation with a headline from The Economist (January 23, 2016): "Curing Multiple Sclerosis: Stem Cells Are Starting to Prove Their Value as Medical Treatments." "Be aware," he said, "that this is a topic that is much in the public's mind." The article focused on hematopoietic stem cell transplantation (HSCT), which, as he explained, is more about the reconstitution of the immune system after immunoablation than it is about the stem cells themselves. While the therapeutic element of HSCT is not actually the stem cells, "in the public's mind, that's stem cell therapy," he commented. Other more "biologically correct" cell-based strategies are being evaluated in progressive MS, he said. Patients with MS routinely ask about stem cell transplant, and many are hoodwinked by centers making outrageous claims, several experts noted during the session. "Many patients come to me saying they have 'been approved' for a transplant and ask if they should go. I say, 'Approved to give them $20,000?' These are clinics with very slick websites claiming to cure everything," said Michael K. Racke, MD, professor of neurology and neuroscience at Wexner Medical Center at The Ohio State University in Columbus. Benjamin Segal, MD, the Holtom-Garrett Professor of Neurology and director of the Multiple Sclerosis Center at the University of Michigan Medical School, Ann Arbor, added in an interview with Medscape Medical News, "Every time I'm in clinic I am asked about stem cells. There are private companies out there that exploit desperate people." "One of my patients with progressive MS went to Germany to get some type of intrathecal embryonic stem cell injection," Dr Segal said. "A few months later, her husband informed me that she developed meningitis as a complication, and she died." Dr Racke, Dr Segal, and other MS experts at the meeting voiced optimism, though, that research is moving in the right direction, and that stem cell transplant will some day become a treatment that professionals can embrace. Are the treatments anti-inflammatory, neuroprotective or reparative? Do the various strategies need to be combined for optimal effect? What is the best route of administration that will target multifocal lesions? What is the appropriate "window of treatment," considering disease chronicity? Is there the potential for paradoxically activating the immune system in a detrimental way? Is the MS nervous system actually hospitable to the concept of introducing cells in an attempt to repair damage? The International Conference on Cell-Based Therapies for Multiple Sclerosis, held November 2015 in Lisbon, Portugal, was an effort to form alliances that will help answer these questions, he said. Studies of immunoablation and autologous HSCT largely have been small and uncontrolled, and therefore have not led to "definitive notions" about how and whom to treat. They have, however, demonstrated "a high level of efficacy, as best we can tell without proper controls, in relapsing patients," according to Dr Goodman. "The benefit seems mostly biased toward people who are younger, with recent disease onset and activity, and who are still ambulatory and generally have had continued [disease] activity despite treatment with the typical first-, second-, and third-line immunotherapies," he noted. "It's believable that this approach is highly efficacious," he continued, "but we still need to determine where HSCT fits in and stacks up, in terms of risk vs benefit, relative to the highly active treatments we now have and others coming in the next year or two." Dr Racke was excited about a study, currently in the planning stages, that will be a follow-up to the recently reported HALT-MS trial. Parallel cohorts of about 100 patients each will be enrolled, in North America and Europe, with relapsing MS and failure on high-efficacy drugs. Patients will be randomly assigned to HSCT (using the BEAM myeloablative regimen) or best available comparator (probably a monoclonal antibody). Nonresponders will be allowed to cross over. The study will be done in collaboration with the Bone Marrow Clinical Trials Network, which has made this study "their number two priority," according to Dr Racke, who expects the study to kick off in about 2 years. He predicted that HSCT will be as effective, at least in the right patient group, as the best current treatments. "We are seeing breakthrough disease in only about 30% of patients at 5 years," he noted. "More biologically correct" forms of stem cell transplant are being studied in progressive MS, Dr Goodman said. These involve mesenchymal stem cells, oligodendrocyte precursor cells (OPCs), induced pluripotent stem cells (IPCs), and embryonic stem cells. These approaches may be capable of actually repairing the damaged nervous system, he explained. "There are multiple mechanisms underlying progression, and the idea is to introduce cells that are capable of reconstituting those aspects of tissue damage that, hopefully, will be amenable to some degree of repair," he said. Dr Goodman was most optimistic about transplant involving glial progenitor cells, which give rise to myelin-producing oligodendrocytes. 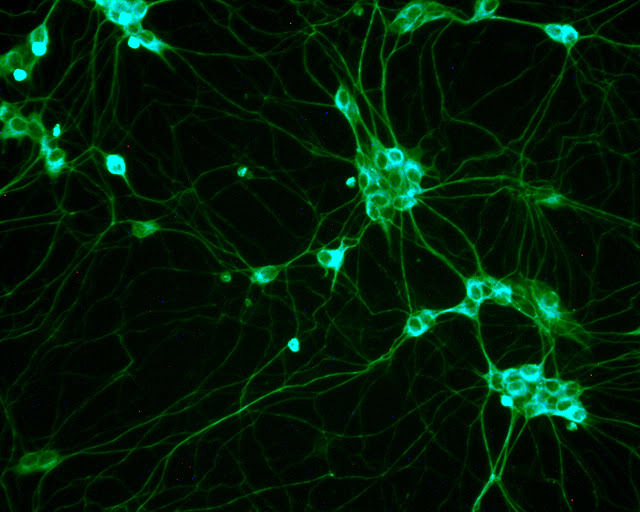 These cells can be derived from fetal brain tissue, embryonic stem cells, and IPCs from skin and fibroblasts. "These all lead to the final common pathway of glial progenitor cells that can be purified by cell sorting into the effector cells of myelination," Dr Goodman explained. The particular subset of CD140a+/CD9+ cells have a high capacity for migration and are the principal myelinating subset of the OPCs. They are isolated and then infused. A phase 1 project funded by the New York State Stem Cell Science program will be a first-in-human study to assess the safety of implanted human OPCs for progressive MS. The source will be embryonic stem cells, which in a mouse model produce dense myelination in the relevant areas of the brain. Three upstate New York centers will treat 20 patients with nonrelapsing secondary progressive MS at various dose levels. The aim is to determine safety and the maximum tolerated dose for cells injected into the white matter during four transplants. Because these are not autologous cells, rigorous immunosuppression will be given. Another transplant approach for progressive MS involves mesenchymal stem cells, which are sourced from stromal cells in a variety of adult tissues. Because this is an autologous approach, immunosuppression is not necessary, but mesenchymal stem cells do have finite proliferative capacity and must be redosed, Dr Goodman explained. In small studies that total no more than 100 patients altogether, the signal for efficacy has been inconsistent, though the approach appears safe and well tolerated, he said.